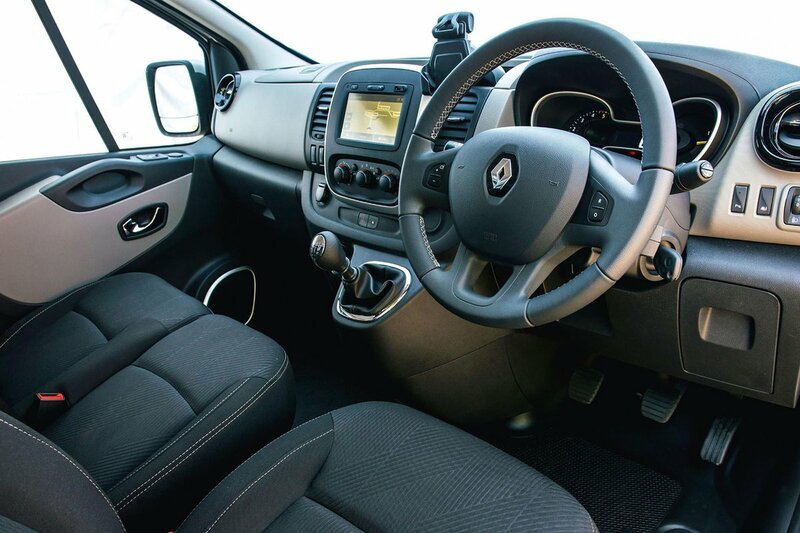 Renault Trafic Interior, Sat Nav, Dashboard | What Car? 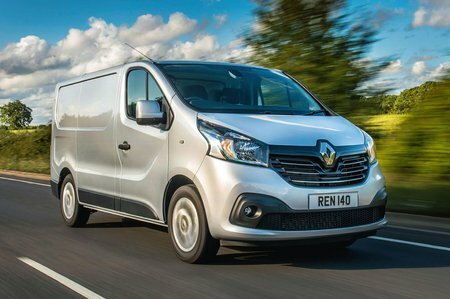 With three standard trims to choose from, the Renault Trafic gives buyers a great choice. Business models get the basics, with electric windows, electric heated door mirrors, alarm and immobiliser, adjustable steering wheel, DAB radio with Bluetooth and multifunction trip computer. Business+ models get manual air conditioning, the wide-angle passenger mirror, rear parking sensors and a mobile office package that includes a smartphone cradle and a fold-down centre seatback with detachable clipboard. 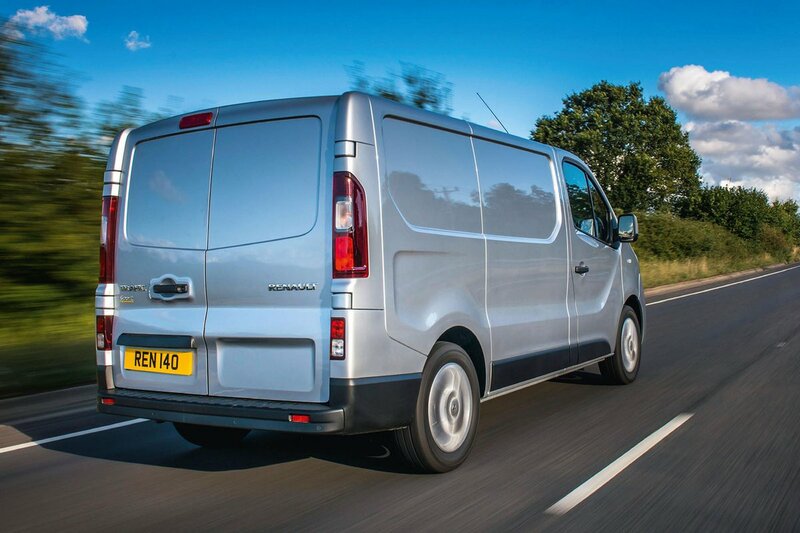 Body-coloured bumpers are also added to enhance the look of the van. Finally, Sport models get an upgraded dashboard with an upper storage compartment, leather-covered steering wheel, cruise control and a speed limiter. There’s also 17in alloy wheels, front foglights, body-coloured mirrors and metallic paint thrown in. Additional features include automatic headlights and wipers, an upgraded DAB radio with aux input and USB sockets, but it’s the addition of the MediaNav 7.0in touchscreen navigation system that really boosts the specification of the Sport model. It’s a neat and stylish infotainment system that combines audio, telephone and navigation systems. The three-tier system makes comparing the trim level to that of the Vauxhall Vivaro quite difficult, because that vehicle has just two options, but above the entry-level Business trim, the Trafic is good value for money when compared with other sector rivals from Mercedes and Volkswagen. The interior isn't as sophisticated as that of its German adversaries, with a coarser grade of plastic used liberally inside, but it is well laid out and easy to use. Storage could be improved, with just one large central dash area suitable for folders or papers, and an average-sized glovebox. If you need the additional storage, the addition of the lidded upper glovebox on the Sport model is of value if you to keep items out of sight.